OMG Posters! 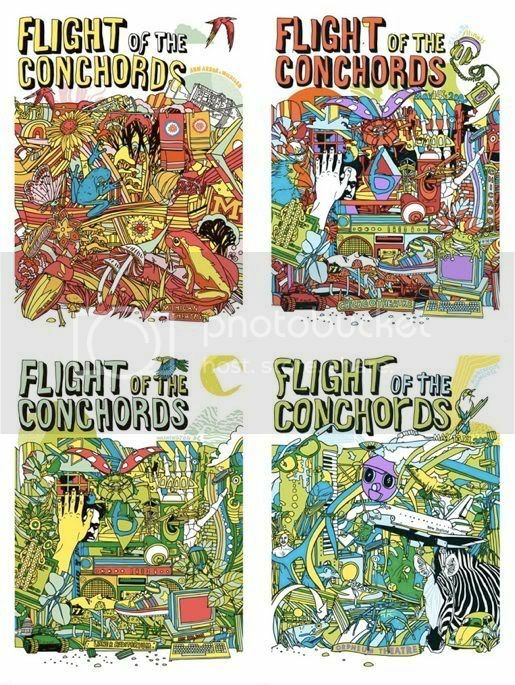 » Archive Tyler Stout's Flight of the Conchords Posters (Onsale Info) - OMG Posters! 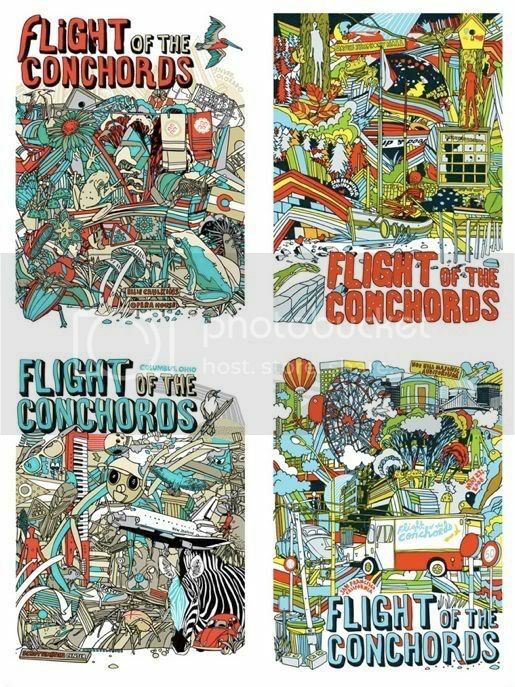 You may remember that a week or two ago I previewed Tyler Stout’s insane Flight of the Conchords poster series. Well, you will have a chance later today to buy some (or all) of the posters. Tyler hasn’t announced the price yet, but you can bet that they will be reasonable. He has less than 40 of each to sell, so they’ll likely go fast. This goes down today (Monday, June 23) at noon PST. Visit TStout.com. Click HERE to check out a giant sized image of the whole set. I thought I scored the red glow as it was paid for, but somehow after all was processed through paypal (receipts and all), I received an email stating it was sold out. I hate that nonsense! Can I ask a question… I love Tyler Stouts recent work but WHY THE HELL DOES HE ONLY PRINT SUCH SMALL RUNS! AHHH! Now I have to pay 160 bucks on ebay for his Big Trouble in Little China poster.